Private yoga lessons and private group sessions are available at Yoga Fever. We currently partner with many local groups and individuals at affordable rates so all folks can experience the joy and life changing effects of yoga. 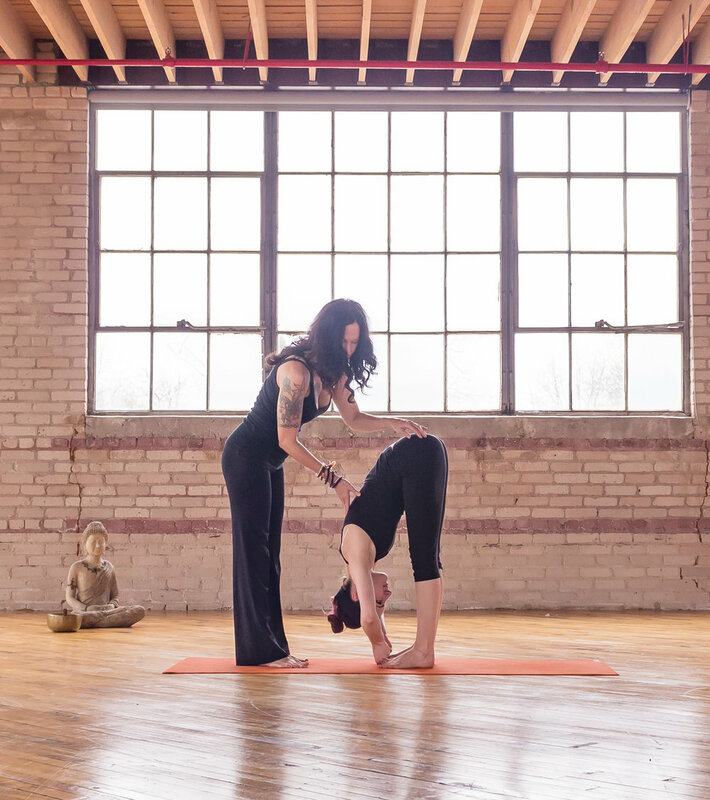 A private lesson may be for you if you are looking to receive one on one attention in a private space, are looking to build confidence to practice in group settings, are learning to modify while healing an injury, or wanting to deepen your personal meditation and internal practice. Private group yoga classes are designed to fit the needs of the group attending. These classes are 60 minutes (unless requesting longer or shorter), can be heated or a neutral environment. Private group yoga classes are ideal for bachelorette parties, teen groups, kids yoga, family fun, and more. Private group yoga classes are taught by the owner with very flexible hours. Prices vary according to number of attendees - groups of 10 people or less $125 - groups of 11 - 15 $150 - groups of 16 and above $175. Call studio to book and buy (616) 805-3603. Yoga Fever travels to your home, can bring yoga to your work, your park, church, and your school. We thrive in bringing yoga of all levels to YOU where ever you are. These sessions can be a one time event or can be booked in a progressive series of 4 to 8 weeks. Prices vary according to attendees and number of sessions. The more sessions you book, the less expensive it is! Please call the studio to discuss your needs (616) 805-3603.